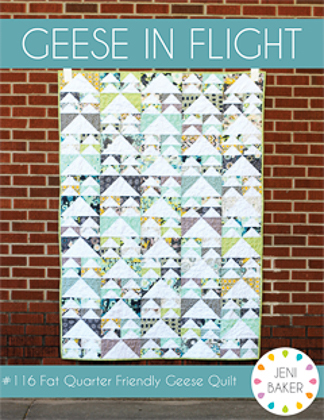 Geese in Flight features traditional flying geese blocks, in a quilt without sashing or borders! Learn to make no-waste flying geese and show off your favorite fabrics. This pattern is fat quarter friendly! Suitable for comfortable beginners. Sale Price $1.99 reg $9.00.